1) Winter Wonderland: Stroll through the museum as you enjoy dozens of trees decorated by our cultural partners to celebrate holidays and traditions around the world. Be sure to also check out special artwork created by local branches of the Boys & Girls Clubs of Metro Atlanta. 2) Santa-saurus: This Santa has claws! 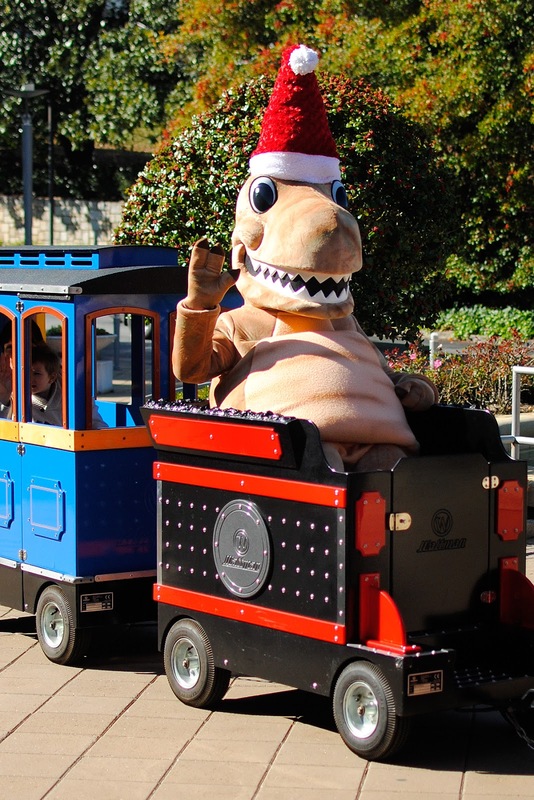 Look for our new holiday mascot Santa-Saurus on select days during the holiday season. Giggy A. Dinosaur and his giant Santa hat help spread some joy to the world. 4) Genghis Khan: Where would your holiday cards be without Genghis? He’s not usually referred to as “jolly,” but Genghis Khan did impart some gifts to the modern world—from hamburgers to passports, and from pants to postal delivery. See this incredible exhibition before Khan is Gone! 5) To the Arctic: ‘Tis the season for polar bears on the IMAX® screen! 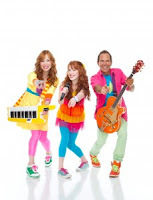 7) Laughing Pizza Holiday Concert: Don’t miss this award-winning family band performing a variety of original holiday tunes on December 8. 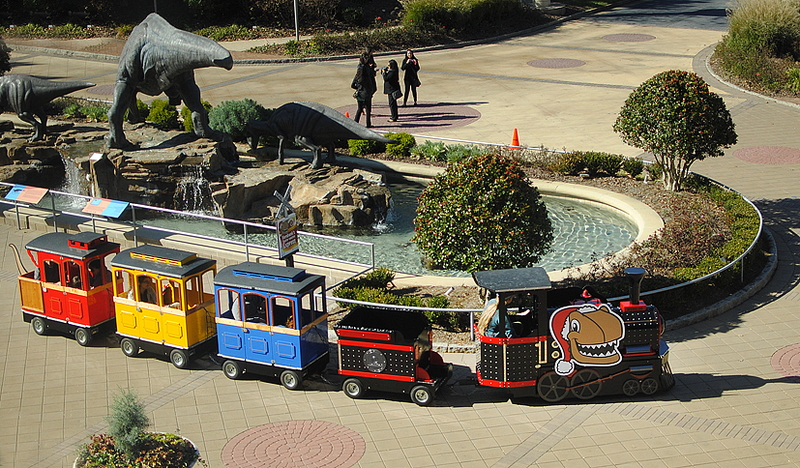 Fernbank will also feature special performances by the Atlanta Circus Camp and ornament-making crafts. 8) Holiday Membership Sale: Now through Dec. 24, Family Advantage and IMAX Advantage Memberships are on sale. More fun. Less cost. Great gift. 9) Salsa Night: On December 21, Fernbank adds an extra Martinis & IMAX Salsa Night to the schedule. There’s no better way to burn off those extra holiday nibbles and entertain your out-of-town guests. 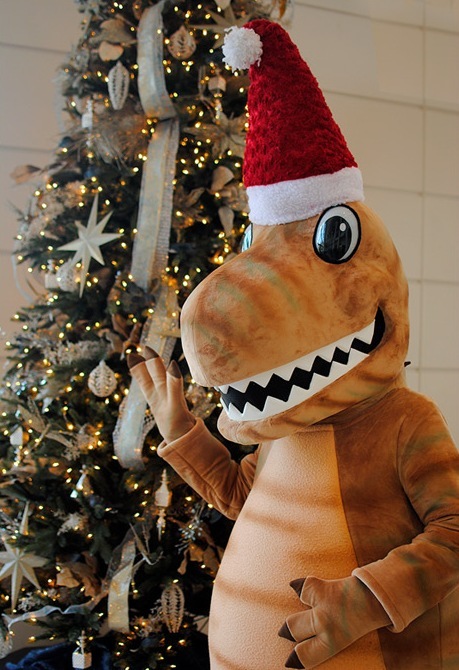 10) Appy Holidays: Free Wi-Fi and the new Fernbank Meridian App are now available to add some extra cheer to your Museum visit! Fernbank Museum of Natural History is located at 767 Clifton Road, NE in Atlanta. For tickets and visitor information, visit fernbankmuseum.org or call 404.929.6300.